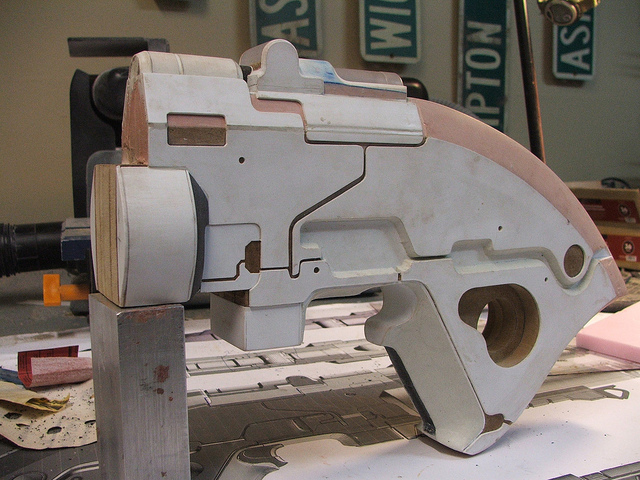 Wood, plastic, and glue go a surprisingly long way in making a weapon fit for a Spectre. 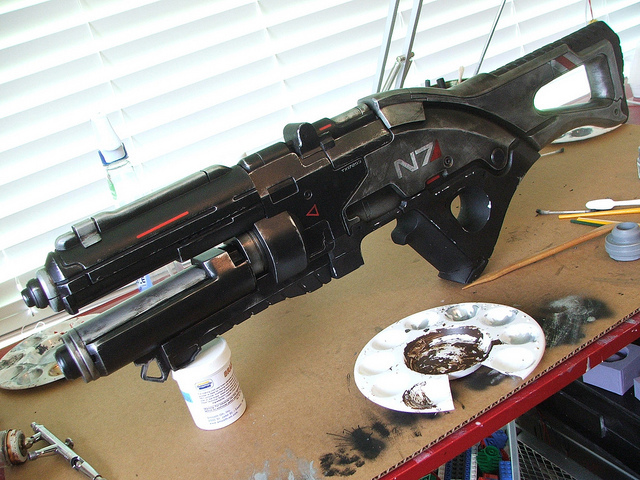 It seems like whenever a studio wants a replica weapon, it turns to the supremely talented Harrison Krix. 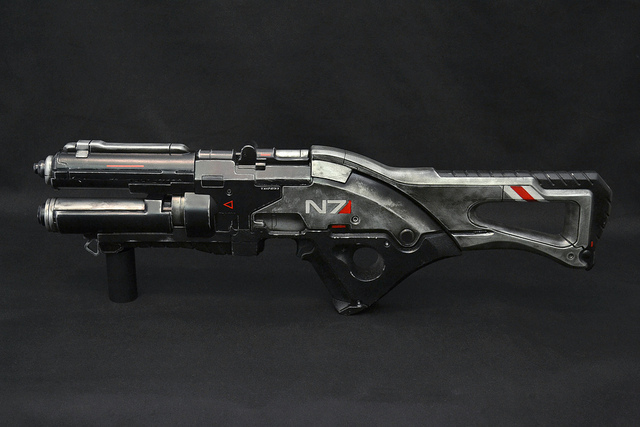 Valve did it for last year's Child's Play auction, and now BioWare has done it for Comic-Con, commissioning Krix to create a real-life replica of the N7 Assault Rifle from Mass Effect 3. 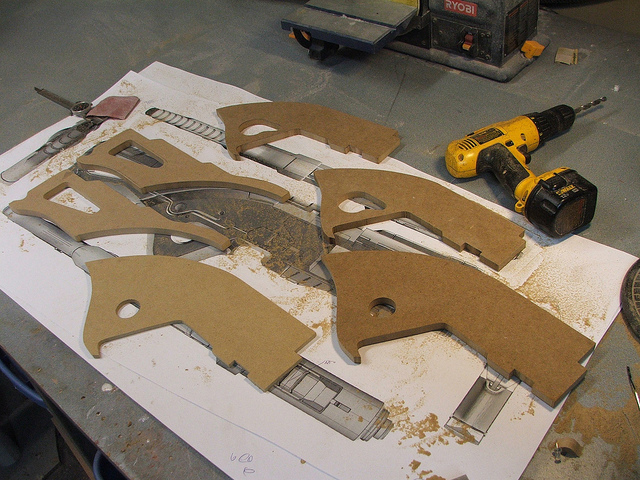 With just two weeks to build the model, Krix started by sketching out the shapes needed to make the main body of the rifle on a sheet of MDF. 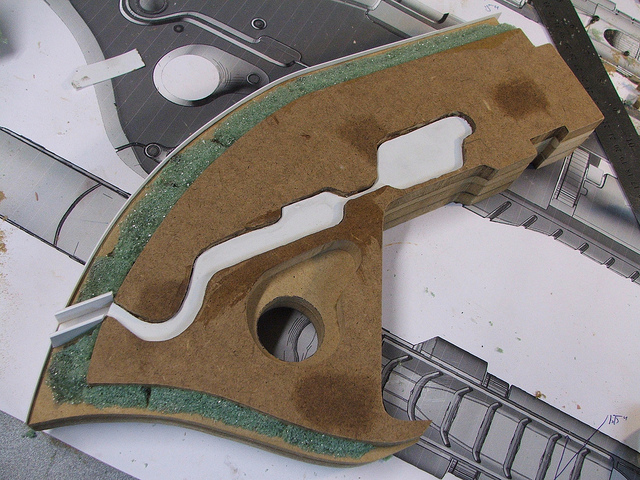 These shapes formed the basis of the main body of the gun, and its rear stock. 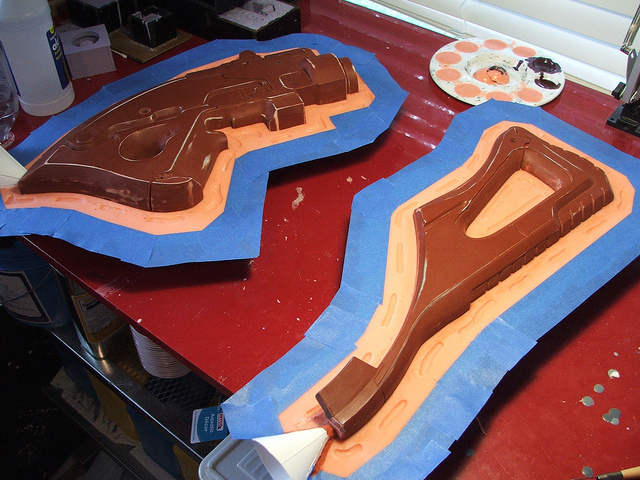 Krix then added detail to these pieces using tools, styrene, acrylic tubes, and other materials. 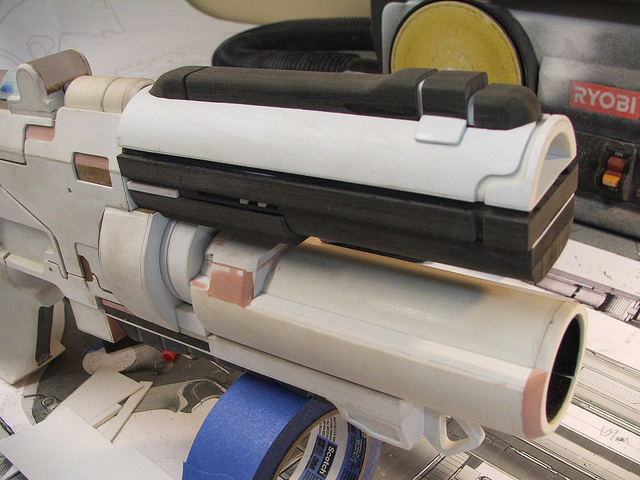 Krix used PVC pipes to create the gun's barrels, again building the detail up using various modeling materials. 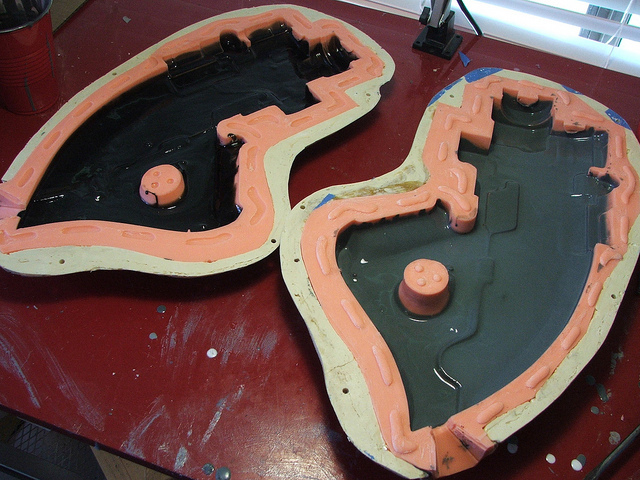 Once the pieces were finished, Krix made molds of them all using silicone, and then cast the final rifle parts in epoxy. 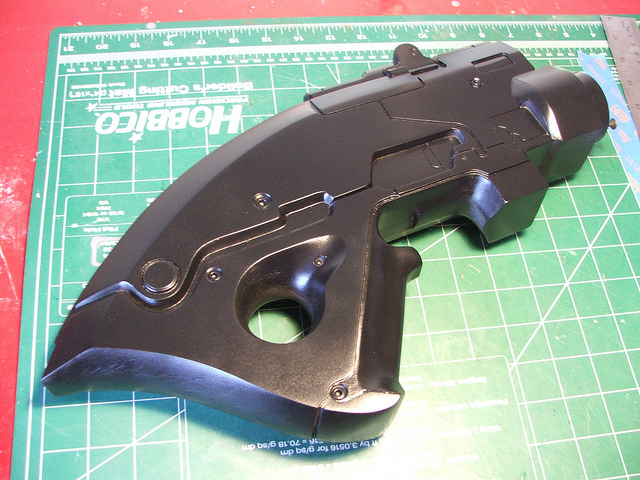 Each epoxy piece then received a base coat of black paint, followed by any other painting necessary, such as adding the silver color to the main body of the rifle. 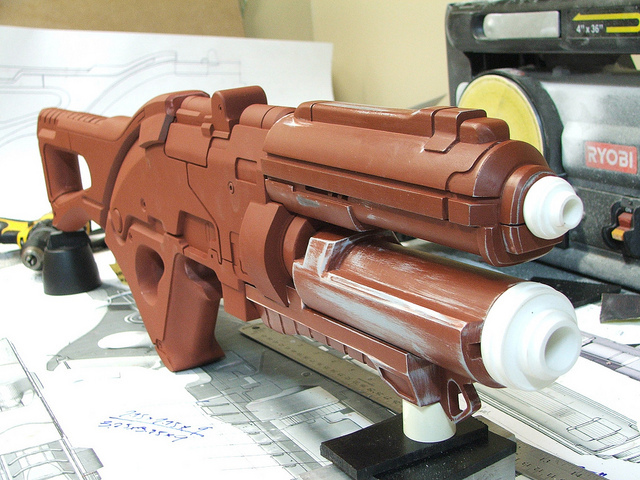 With the main paint job finished, Krix added decals and then aged the rifle, giving it a used look. 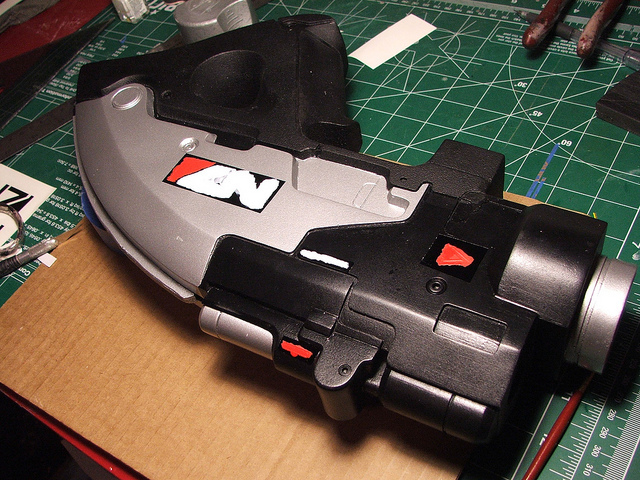 As always with Krix's work, it's a fantastic piece, and something that any Mass Effect fan would be more than happy to own. Sadly, a big part of its appeal - that it's an amazing one-of-a-kind piece, crafted by hand - is the very reason why we can't all have one. 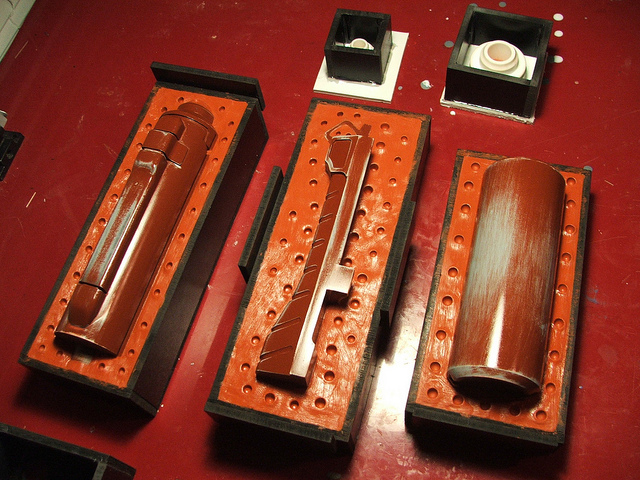 You can see more pictures of how the rifle was made on Krix's blog, and on his Flickr page.